Gaon Champ may have swerved next week’s Korea Sprint but the talented three-year-old returns to Seoul in Sunday’s feature class 2 sprint looking to enhance his burgeoning reputation. An eye-opening six-length score at the end of July with Gaon Champ barely requiring third-gear put the Ecton Park colt into the frame for next week’s big international race and he duly appeared in the preliminary nominations at the beginning of August. However, connections ultimately decided that with only six starts under his belt and with him yet to even face top-class domestic sprint opposition, he wasn’t quite ready to take on the overseas visitors. Instead, he runs at class 2 level for the first time over his favoured six furlongs. 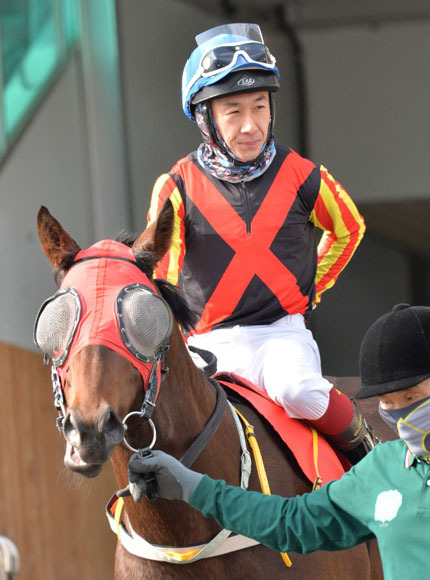 Gaon Champ burst onto the scene with three easy victories last autumn but a couple of setbacks over the winter meant that he didn’t return to the track until Seoul’s Classic trial in early March. He was favourite that day but over 7 f, he found himself bested in the closing stages by Mask, a colt who would go on to run well in all three-legs of the Triple Crown itself. Nevertheless, Gaon Champ traveled to Busan to take part in the KRA Cup Mile, the first Classic in April. After being very unsettled in the gate, Gaon Champ ran a poor race that day and wasn’t seen again until returning to form back down at 6 f in that July 28th race when he crushed a competitive Class 3 field. On Sunday, he faces just six rivals, although they do include the in-form Champion and fellow up and comer Lucky Chunyang, the latter with five wins from seven outings so far. An on-form Gaon Champ should have far too much. Gaon Champ will be ridden for the first time by Manoel Nunes, the Brazilian rider returning from a two meeting suspension this weekend. Nunes has eight rides on Sunday’s 11-race card and plenty of the others have live chances too.